Jonny McEvoy’s late-attack on the outskirts of Annan this afternoon paid off as the Endura Racing rider took the third stage of this year’s Tour DoonHame and with it the overall victory. McEvoy made it into a successful 13-man group who formed around 25 miles into Monday’s stage, before breaking clear shortly before the finish to continue Endura’s 100% record in this year’s Premier Calendar. His team-mate and overnight race leader Erick Rowsell was one of three Endura riders who initially made the split, but he had to settle for second overall. 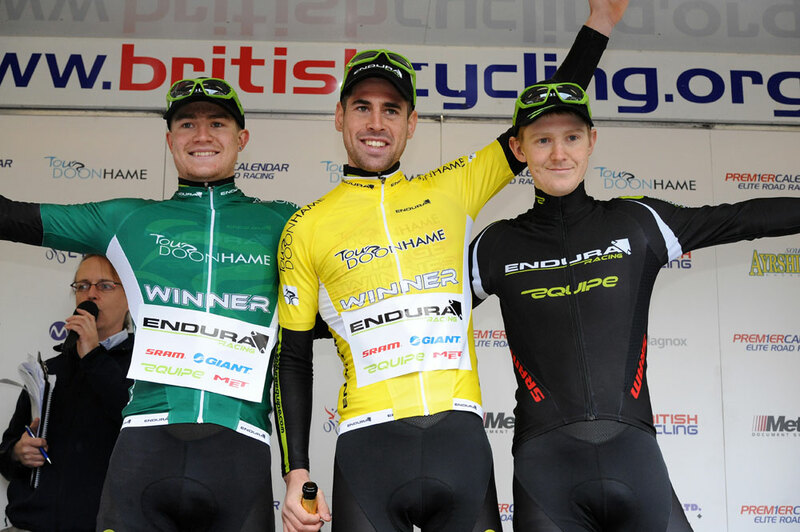 Stage two winner Scott Thwaites completed the one-two-three for Endura on GC. 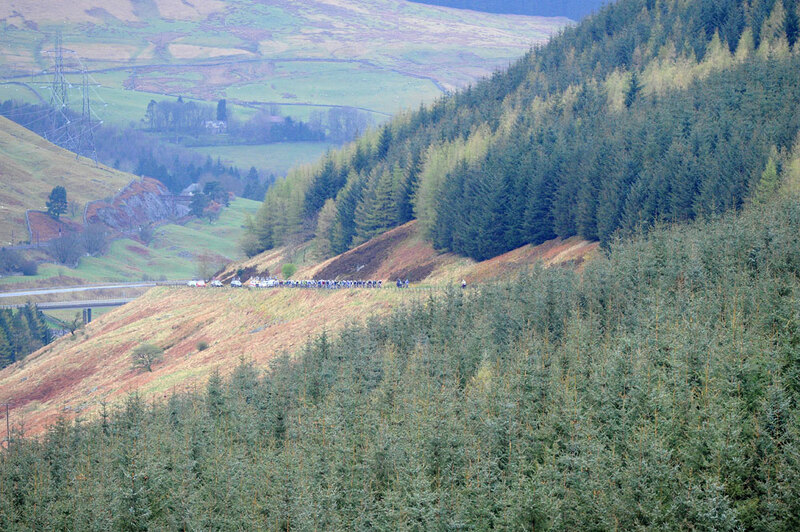 After several riders chanced their arm in getting away on a 12-mile starting circuit out of Moffat, the key split occured on the descent of the second-category Greenhillstairs climb. Alongside McEvoy and Rowsell were other overall contenders such as Mike Northey and Matt Cronshaw (Node4-Giordana), Richard Handley (Rapha-Condor-Sharp) and Bernie Sulzberger (Raleigh-GAC). 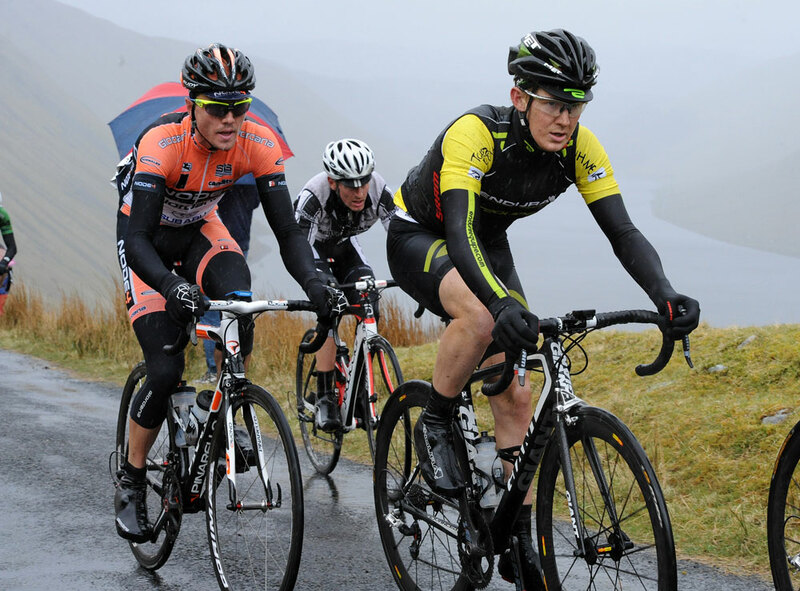 Having missed the move, UK Youth tried to bring the race back together, and managed to come within 30 seconds of the leaders shortly before they hit the first-category Talla Linns climb. It was here that Thwaites – who had been on the wrong side of the split – attacked the peloton and soon made it up to the leaders, giving Endura their fourth rider in a 14-strong breakaway. The breakaway rode cohesively but Cronshaw was first to fall out of the group after being disqualified by race officials. Vanillabikes.com rider Ben Greenwood also lost contact on the undulating terrain that took the riders closer to the finish. With a lead comfortably over three minutes, Raleigh-GAC took the fight to Endura, aided by their two-pronged attack of Sulzberger and Russell Hampton. A bold move by Hampton on the outskirts of Annan was quickly closed down, before his team-mate soon launched an attack of his own. McEvoy responded and followed his wheel, and his acceleration soon after led to the race-winning move. Having started the day 29 seconds off Rowsell, he gained 26 of those on the line. McEvoy had also picked up a bonus second in an earlier prime, which meant that the ten second time bonus for winning the stage ensured he took the overall victory as well. Thwaites won the Endura Hot Spot Sprint classification, while Alex Wetterhall gave the team a clean-sweep of the jerseys by taking home the King of the Mountains prize. 10. Wouter Sybrandy (IG-Sigma Sport) all at st.
10. Russell Hampton (Raleigh-GAC) all at st.